GlobeTrotters on Twitter | Devesh Agarwal (Bangalore Aviation) | Vishal Mehra and Co. When I asked Devesh what led him to start Bangalore Aviation, his answer was simply because his friends and family increasingly started coming to him for all aviation related advice and discussions, he noticed the absence of an India specific aviation blog, thus the idea of Bangalore Aviation was germinated. When your a global frequent flier with over 4 million miles against your name, all that is naturally supposed to happen. My personal view, knowing him for few years now, is that and more. I think it’s a cocktail of what he describes as well as what he doesn’t. You see Devesh loves to share his wealth of knowledge, and those who know him would describe him as a larger than life, social and jovial man who loves his food and flights. Through a blog he found just the right outlet to vent out. Other parts of the puzzle just fit in their places perfectly. Bangalore Aviation is described by him as “By aviation enthusiasts, for aviation enthusiasts”, started on March 14, 2008, with the intent of being a “no-spin” zone of Indian aviation media. 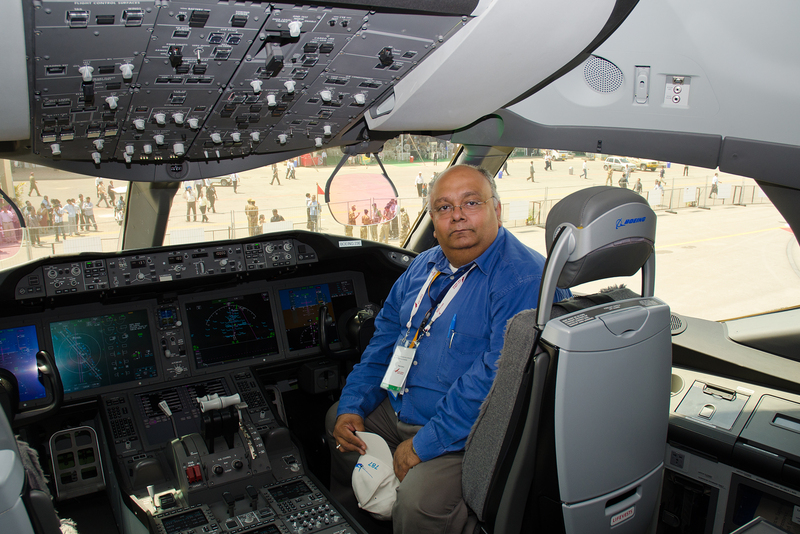 Like many leading bloggers, managing Bangalore Aviation is not Devesh’s day job. He is a technology product management expert and has been awarded a silver medal at the Lockheed Martin innovation competition 2010. Devesh also has been recognized as one of the must follow aviation pros on twitter in Mashable for good measure. Devesh, what has been your personal motivation to travel and to fly? Devesh – From childhood I have loved planes, the magic of flight, the physics of flying. I also have a pair of glider pilot wings, and I just love to fly. I still remember my first flight as an eight year old boarding Air India Boeing 747 Emperor Ashoka. It is fascinating that we can travel to countries on the other side of the earth in less than 24 hours, a feat that was fraught with danger less than 60 years ago. It is a pity that air travel over the years has become less glamorous and there are many airlines in the world today, which treat passengers as “self-loading cargo”, but thankfully there are also those that do not. So your not a fan of Ryan Air, I’m actually yet to meet someone who is. I believe you would be the sorts to enjoy your plane ride. Any memorable experience? Devesh – I was on the inaugural Los Angeles-Singapore non-stop A340-500 Singapore Airline flight. The inbound flight from Singapore was four hours early due to favourable winds, which meant the winds would be against us while going back. The pilots decided to take an equatorial route, which was longer than the polar route but had less opposing winds and were nearer to major airports should we need to land to re-fuel. During another of my SIA flights between Frankfurt and JFK. About 25% of the business class seats stopped working, two passengers fell ill midway, and one in fact died from a heart attack. All this while the crew was being audited and inspected by an in-flight quality control auditor. Hats off to that crew for their performance. They were on their feet for the full eight hours and running back and forth the entire length of the B744 and not skipping a beat on their very high service levels while still attending to the passenger emergencies and seat failures. These are just two of my long list of experiences, by Indian newspaper standards I have had more “miraculous escapes” than the proverbial cat. Devesh – Yes, it’s Singapore Airlines. The service level is simply unmatched. On a Singapore to JFK flight, my nine year old son spilt a full glass of coke on himself. My wife had forgotten to pack a change of clothes for him. The crew brought a Givenchy pajama suit they give to first class passengers, and altered the pajamas by hand stitching to fit the young boy!!!!! I have never heard of such an experience on any other airline. To top this off, my wife and children were flying, without me, and on an award business class ticket. So no FFP or revenue influences. That actually sounds quite incredible, which would be your preferred airport? Devesh – It’s Singapore Changi of course, due to their hyper-efficient immigration, baggage delivery, and customs. Even with checked baggage, you are out of the airport within 15 minutes. All right Singapore fan boy (just kidding!! ), tell me about your all time favourite aircraft. Devesh – Without a doubt, Concorde. I was very sad to see her being retired. For the first time in history we went backward in technology as there is even till today no replacement aircraft for her, and none appears to be for the next 20 years. Let’s get slightly more specific now; which airline according to you has the best economy, premium economy, business and first class products? 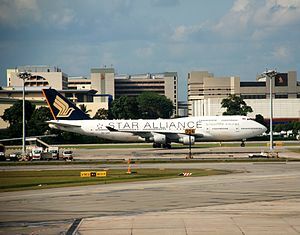 Best Business Class – 1-2-1 configured Singapore Airlines beats most first class. Also the Upper Class of Virgin Atlantic and their fantastic Club House, and those ladies in red. Best First Class – The old Pan Am Boeing 747s with the upper deck lounge. Currently, I think Emirates A380 takes the crown. Their seats are narrow compared to other airlines, but any airline that has a shower spa on board and serves Hennessy Paradis cognac (about $850 a 750ml bottle) has to take the “Over the top” crown. Devesh – Restaurants serving real food, not the fast food fried or ready made nonsense. I think with growing travel, appreciation for good food, and airline’s cutting back, a fine dining restaurant at airports will do well. You have a successful career and run a successful website, what advise would you give to those who want to travel the world without breaking their bank balance? Devesh – The travel itself is not expensive. Depending on where you travel the boarding and lodging is. For most I would recommend using a tour package from one of the reputable companies. Is there a go-to website, guide book etc. you consult before and while your traveling? What’s your research for a country/city like? Devesh – Apart from BangaloreAviation.com? :), I go through Lonely Planet, Frommers, but my first choice is my business colleagues and friends in the destination country/city. That was a clever plug Devesh 🙂, what role do you think social media/twitter has played in propagating Travel? Devesh – Social media has brought more world cultures to the attention of more people, and hence the desire to travel to what, ten years ago, would have been an unknown place for someone. Same goes with meeting people. Personally I have met some great people, initially online, but then also in person. You are one person where our virtual friendship has transformed in to a real one. Other friends include Shashank Nigam (Simpliflying), and others. Finally, as this is GlobeTrotters on “Twitter”, your 3 must follow twitter user accounts? Fantastic! What a novel and effective way to bring together two entire different subjects – Aviation and Social Media. Only you could have done it, Vishal. Incredible! !